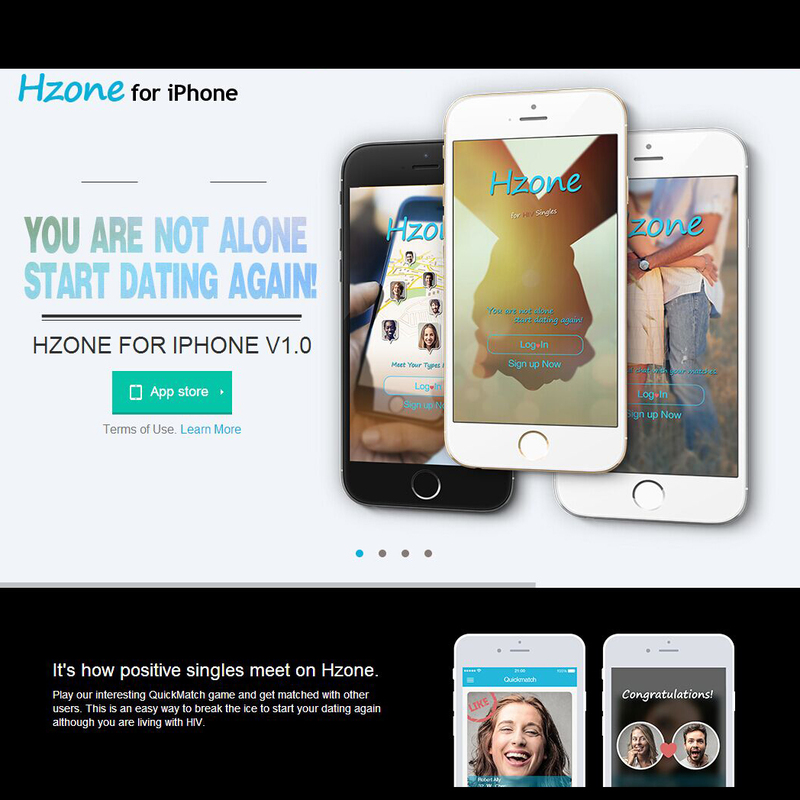 Hzone is a newly set up iOS dating app dedicated for HIV singles only. It is a rapidly growing service for singles with HIV and AIDS. All people at Pozty are living with HIV/AIDS. Normal people and people living with other STDs are not allowed to join in. Unlike Positive Singles and other STD dating sites, you don’t need to waste time on filter out people who are the same as you. The most important thing is that Hzone is free and join in and keeps everyone safe. Free to place a lifetime ads and browse other members photos. Free to play the ‘quick match’ dating game and like people nearby. Free to start new topics or comment on hot topics others made. Free to browse quick match history and track on with the people whom you are interested in. Free to set gesture code and use the service anonymous. This dating app has a very good feature to protect your personal information and privacy. Users there can set personal gesture code and don’t let others see your secret at any time. It is the same that this app will never sell or disclose your profile information to any third party. Hzone has a serious internal rule to protect its users from spam and scam. It will never distract you to any other places. So it is a safe place to join. Hzone is a newly launched site for people with HIV and AIDS. It has been online since Mar 26th, 2015. So, there are not enough members there for the time being. You must be very patient if you want to find a date with HIV singles. But Pozty is the only mobile dating app in the world for the time being. If you are living with HIV and AIDS, it is worthy of a try.